JULY 7, 2015 - (PENSACOLA, FLA) - What if the framed feature painting in your living room got less attention from visitors than your decorative glass windows? What if your eyes strayed from the person you were talking to over dinner and lingered on the delicately-designed windows behind them? These situations all turn to reality when homeowners add stylish glass windows to the their home. At Hy-Lite, an assortment of square, geometric and oval shaped windows are available in both fixed and operable styles. 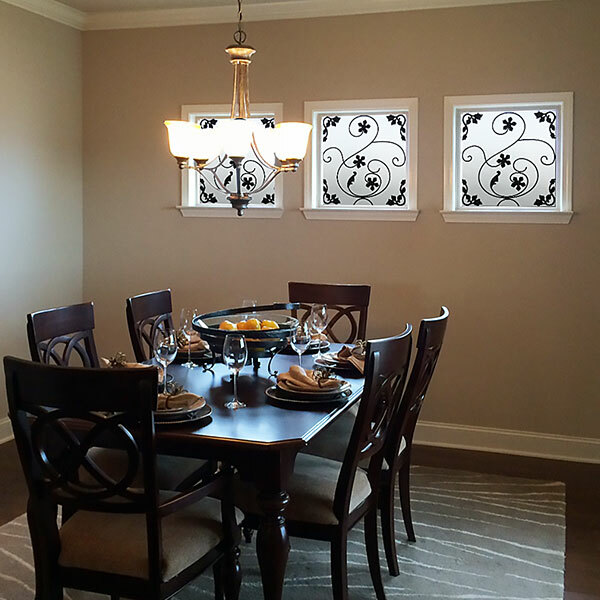 Some windows feature black, satin or brass caming while other windows boast impressive silkscreened designs. Murphy dismisses the old-school thought that decorative glass windows belong just in bathroom settings. "Why hide the beauty of these windows?" says Murphy. "Yes, they dramatically enhance any bathroom, but then you're not sharing the art of these windows with the rest of your family and guests!"